I'm always grateful when publishers are generous enough to send me books to review. Which is why I always feel bad if I can never get to them in a timely manner or I start reading them and they just don't resonate enough with me to actually finish it or review it. 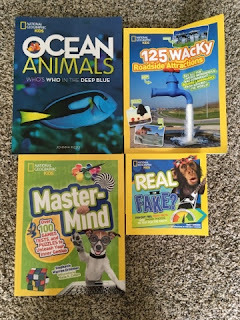 So today I thought I'd give a shoutout to some books that have been sitting in my pile that I'd rather put in students' hands than let them sit on a shelf in my house (Oh who are we kidding? They're sitting in piles on the floor in multiple rooms of my house). 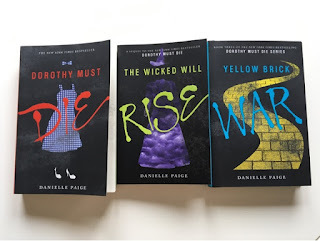 I started reading Dorothy Must Die because I was intrigued by the premise: all the characters that you thought were good in The Wizard of Oz are actually incredibly sinister... especially Dorothy. But as the story progressed, I lost interest. Realize, however, that fantasy is always a hard sell for me. So rather than strugle through all three books, I just decided to bring them to my classroom and share them with my students instead. I have loved every single Phil Bildner picture book I have ever read. But I just haven't gotten around to reading his first middle grade novel yet and I REALLY WANT TO. But I have a feeling this is one of those books that is better put in students' hands than impatiently waiting for me to read it. 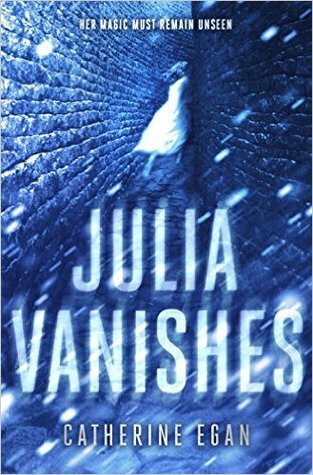 Despite not usually being a fan of fantasy, I'm intrigued by the premise of this YA novel: in a town that has outlawed magic, Julia, a thief and a spy, uses it to her advantage by working as a housemaid for a woman who employs and houses an odd cast of characters when she realizes, perhaps too late, that something sinister is afoot. 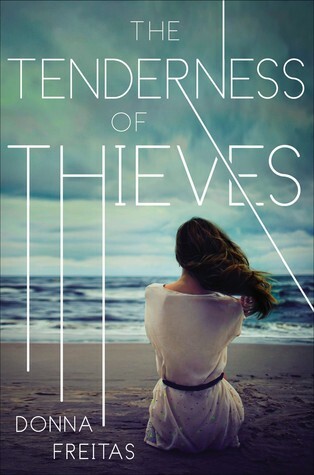 The jacket flap describes this book as: "suspense novel marries psychological thriller with summer romance." Definitely a book-talk waiting to happen. 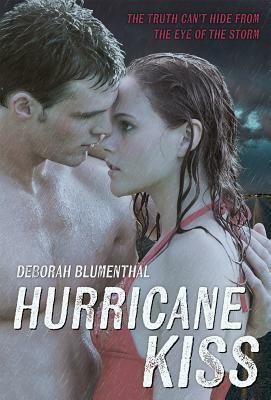 A YA romance with an intriguing premise: two teens try to escape a hurricane by breaking into their school for shelter, which brings back some dark and disturbing memories for one of them. My cousin lives in North Carolina and will be returning to the classroom as a high school teacher this fall after many years in a university setting. 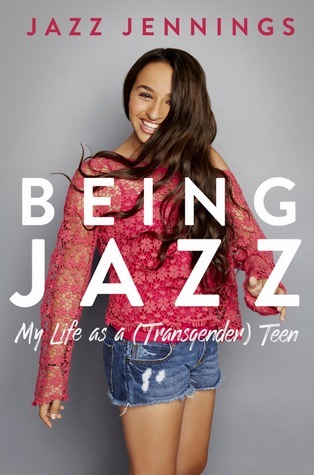 I sent this book to her and told her I thought it would be a good fit for her classroom given the controversial bill that was enacted there that discriminates against transgender people. These books are always fun to share with students -- especially those that love to fill their heads with facts and trivia. I'm starting to get too many piles around my house also. However, I'm always a little afraid to bring middle grade/YA novels into my 4th/5th grade classroom without reading first. I worry that I may bring something in that's too mature! 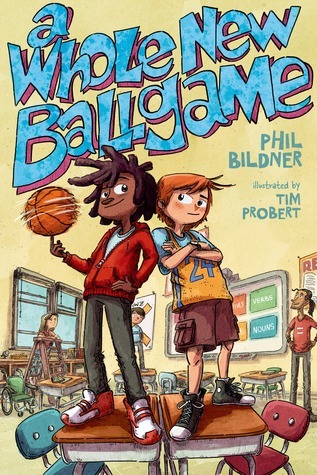 A Whole New Ballgame is great and I also read Hurricane Kiss. Hurricane Kiss is aimed more at high school kids & is not quite right for my classroom, but I did think it was a good dramatic, romance read!